The yellow sunflower symbolizes respect and faithfulness. Its delicate yellow petals spread out like rays of sun from a dark buttoned center. 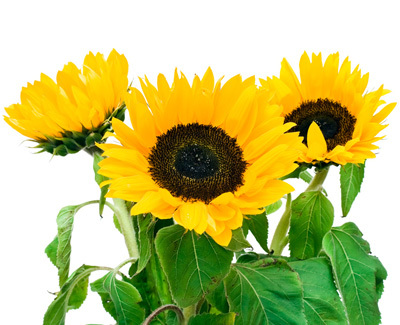 Create your arrangements with this beautiful flower and brighten up your bouquets, and centerpieces.This dazzling sunflower is shipped directly from our gardens so that they reach you fresh. Wholesale rates offered on bulk purchases.